To protect you, we've required your franchisor to give you this information. We haven't checked it, and don't know if it's correct. It should help you make up your mind. Study it carefully. While it includes some information about your contract, don't rely on it alone to understand your contract. Read ail of your contract carefully. Buying a franchise is a complicated investment. Take your time to decide. If possible, show your contract and this information to an advisor, like a lawyer or an accountant. If you find anything you think may be wrong or anything important that's been left out, you should let us know about it. It may be against the law. 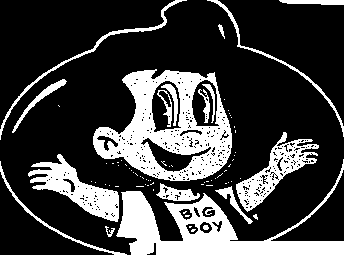 Big Boy Franchise Management LLC ("Big Boy") offers franchises to develop, own and operate "Bij; Boy Restaurants" that sell the Big Boy® double-deck sandwich and breakfast, lunch and dinner items to the public under the name "Big Boy." The initial franchise fee is $40,000. If you sign an Area Development Agreement, you pay a Development Fee equal to $5,000 times the number of Big Boy Restaurants you agree to develop. The estimated initial investment to open a Big Boy Restaurant ranges from $1,649,050 to $2,614,250. THE FRANCHISE AGREEMENT PERMITS YOU TO SUE OR ARBITRATE WITH BIG BOY ONLY IN THE STATE OF MICHIGAN. OUT OF STATE LITIGATION OR ARBITRATION MAY FORCE YOU TO ACCEPT A LESS FAVORABLE SETTLEMENT FOR DISPUTES. IT MAY ALSO COST MORE TO SUE OR ARBITRATE WITH BIG BOY IN THE STATE OF MICHIGAN THAN IN YOUR HOME STATE. (B) A requirement that a Franchisee assent to a release, assignment, novation, waiver, or estopppel which deprives a Franchisee of rights and protections provided in the Michigan Franchise Investment Law. This section shall not preclude a Franchisee, after entering into a Franchise Agreement, from settling any and all claims. (C) A provision that permits a Franchisor to terminate a franchise prior to the expiration of its term except for good cause. Good cause shall include the failure of the Franchisee to comply with any lawful provision of the Franchise Agreement and to cure such failure after being given written notice thereof and a reasonable opportunity, which in no event need be more than 30 days to cure such failure. (2) The Franchisee is prohibited by the franchise or other agreement from continuing to conduct substantially the same business under another trademark, service mark, trade name, logotype, advertising, or other commercial symbol in the same area subsequent to the expiration of the franchise or the Franchisee does not receive at least 6 months advance notice of Franchisor's intent not to renew the franchise. (F) A provision requiring that arbitration or litigation be conducted outside the State of Michigan. This shall not preclude the Franchisee from entering into an agreement, at the time of arbitration, to conduct arbitration at a location outside the State of Michigan. (H) A provision that requires the Franchisee to resell to the Franchisor items that are not uniquely identified with the Franchisor. This paragraph does not prohibit a provision that grants to a Franchisor a right of first refusal to purchase the assets of a franchise on the same terms and conditions as a bona fide third party willing and able to purchase those assets, nor does this subdivision prohibit a provision that grants the Franchisor the right to acquire the assets of a franchise for the market or appraised value of such assets if the Franchisee has breached the lawful provisions of the Franchise Agreement and has failed to cure the breach in the manner provided in section (C).